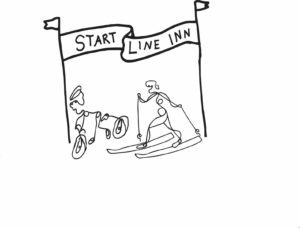 When you stay at START LINE INN in Cable, Wisconsin, you can do as much or as little as you would like. The choice is yours. Participate in world class sporting events, enjoy Silent Sports on land & water, sightsee, visit art galleries or just relax & enjoy time with family & friends in this beautiful and peaceful area near the Chequamegon-Nicolet National Forest and St. Croix & Namakagon River National Scenic Waterway. At START LINE SERVICES, located at lower level of START LINE INN, we can help you plan your stay. We can assist you with mapping out which trails, routes or activities would make your stay most memorable. 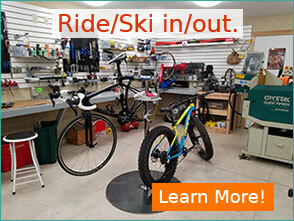 If you need any bike or XC service or accessories, find it here. This area hosts events year-round that provide opportunities to explore and to savor Wisconsin’s Northwoods.